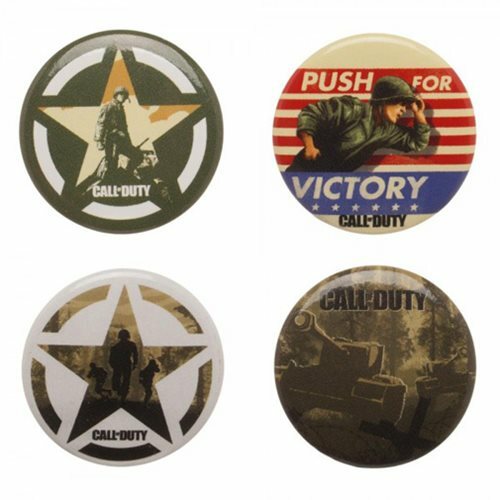 Inspired by the Call of Duty video game, this Call of Duty: WWII Button 4-Pack brings you four super-detailed buttons to wear or collect. How cool is that? !